How many days to visit Valletta? 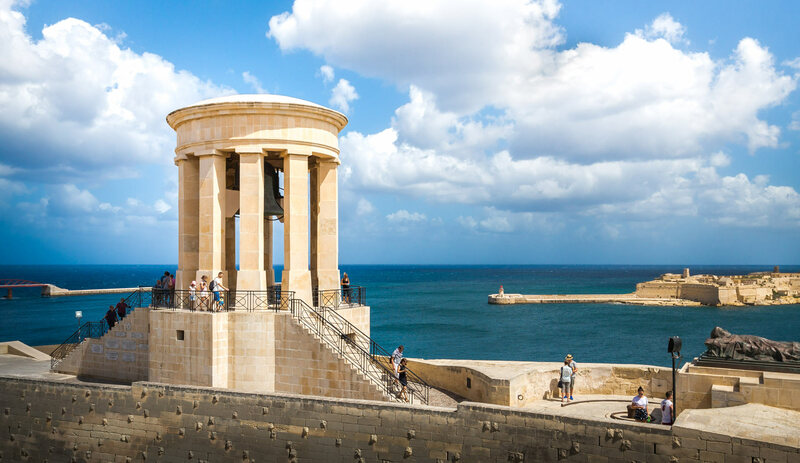 To visit Valletta is to immerse yourself in the rich history of the island of Malta and its most famous protagonists, the Knights of the Order. In order not to miss anything during your visit to one of the smallest European capitals, I have prepared a list of the 10 things to see and do in Valletta. Follow our advice and you will not miss the places of interest of the city. You will then find examples of itineraries to visit the city in 1,2 or 3 days and of course our best accommodation suggestions . 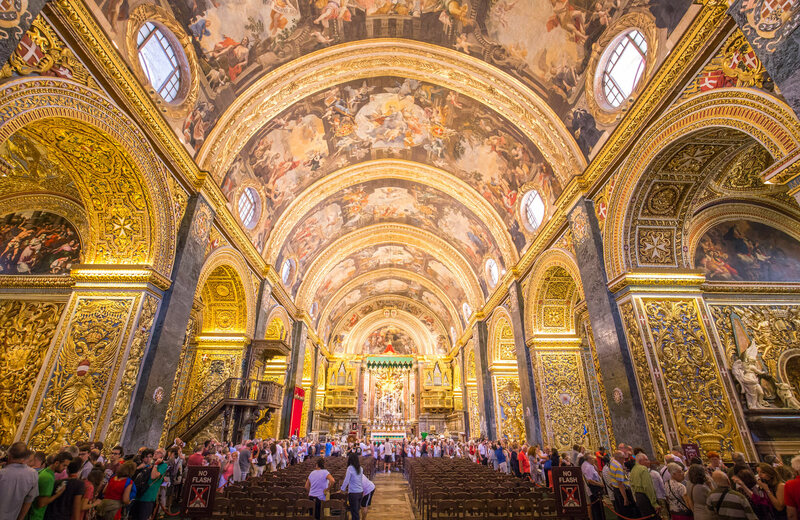 If you want to catch your eyes, I advise you to start your visit of Valletta imperatively by the co-cathedral Saint-Jean, a true masterpiece of Baroque art. 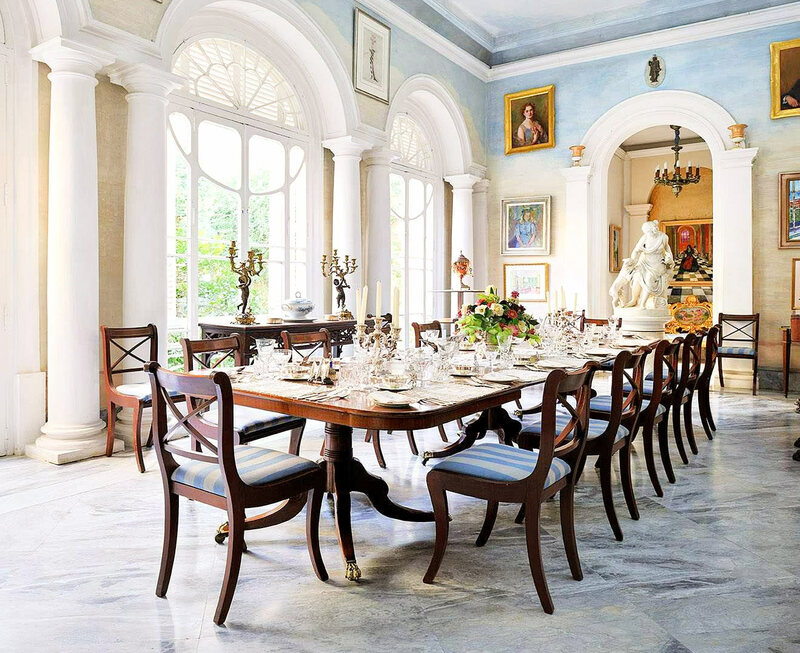 Its facade rather sober and austere hides indeed a breathtaking interior ! At first it’s a little confusing. I confess that when I entered, I did not know where to turn! The floor, made up of marble slabs decorated with coat of arms, houses the tombs of the Knights of the Order. The vault, meanwhile, is entirely covered with frescoes depicting the life of St. John the Baptist. You can also discover the eight chapels dedicated to one of the languages ​​of the order, all decorated with the greatest care. And as if that was not enough to dazzle you, the pillars and the walls are all covered with gold ! Finally, you will have the opportunity to admire some of the works of Caravaggio. Attention, correct dress required, shawls are distributed inside to cover your arms and legs. Ladies, forbidden to wear high heels that could degrade the precious soil. Well at the same time you are badly gone for the day visiting the streets of Valletta if you walk in heels! Find all the information for your visit of the cathedral on the official website (in English). The co-cathedral is Valletta’s busiest place and that’s a little bit of saying, so if you can, be there for the opening or around noon to avoid (a little) the crowd. The Palace of the Grand Masters is the second major tourist site behind the co-cathedral Saint-Jean. From the beginning, you will be surprised by the pretty interior courtyards with fountains and statues that offer a little shade and freshness. 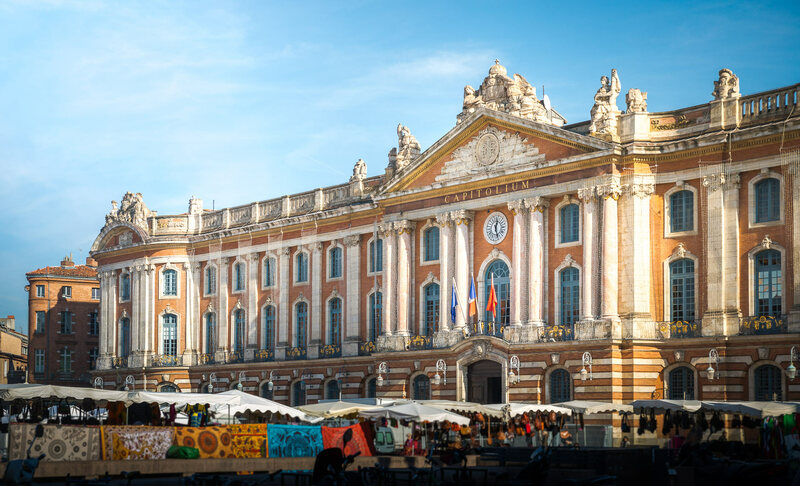 Inside the palace, you will have access to the state apartments including the Council room to the magnificent hangings woven by the Manufacture des Gobelins; the official dining room ; that of the Grand Council ; in the waiting room pages (it had to be that since the grand master was 16!). Finally you can discover the ambassadors’ lounge which served to receive the illustrious guests of the Grand Master and where the Maltese president still welcomes foreign guests. In what used to be stables, you can also visit the Armory, which houses an impressive collection of armorand weapons, all worn by the Knights and Grand Masters of the Order of Malta. Indeed, at the death of the knights, their armor became property of the order, which explains that there is so much to admire. I had visited Turin in Italy 2 months ago that had me particularly excited but it is really worth seeing. 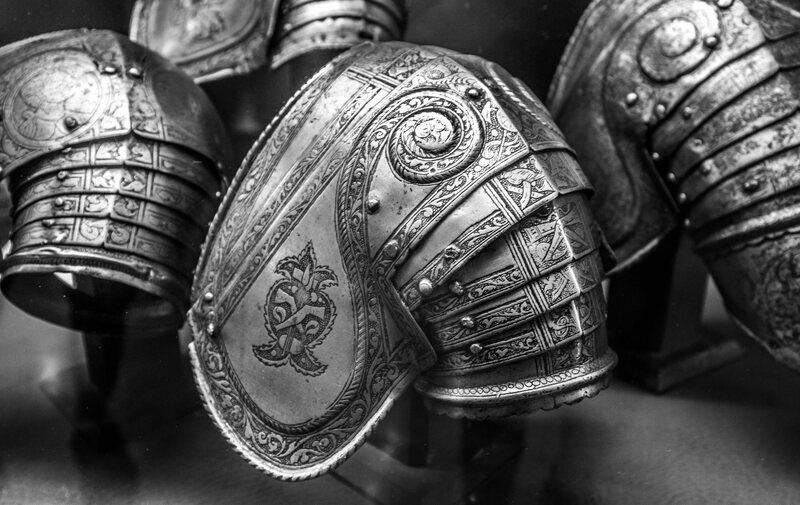 Nearly 5000 armor, crossbows, muskets, swords are exposed and make aware of all the paraphernalia (and especially weight) that was needed to lead these wars. The price is 12 € for about 2 hours of visit. Every day at noon, there is a sound of cannon fire. This may surprise at first, but rest assured, no need to return to the Armory to equip you, the situation is under control! 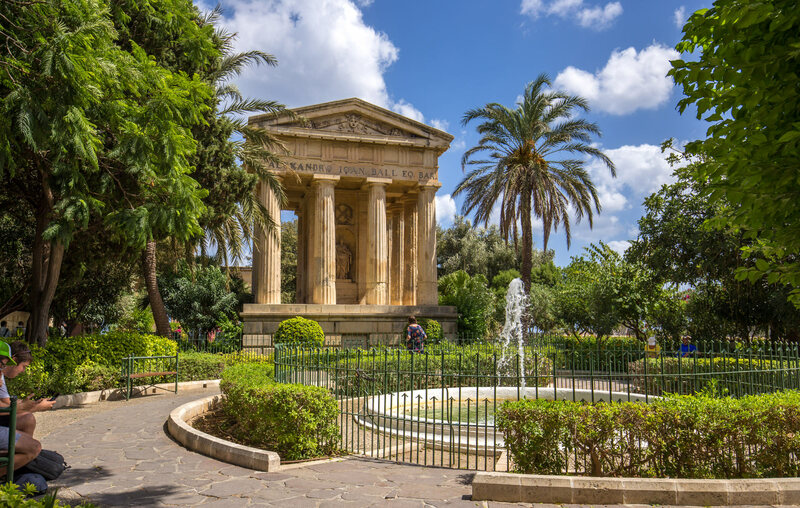 Feel free to head to Upper Barrakka Gardens, a garden located in central Valletta to see one of the capital’s major attractions. 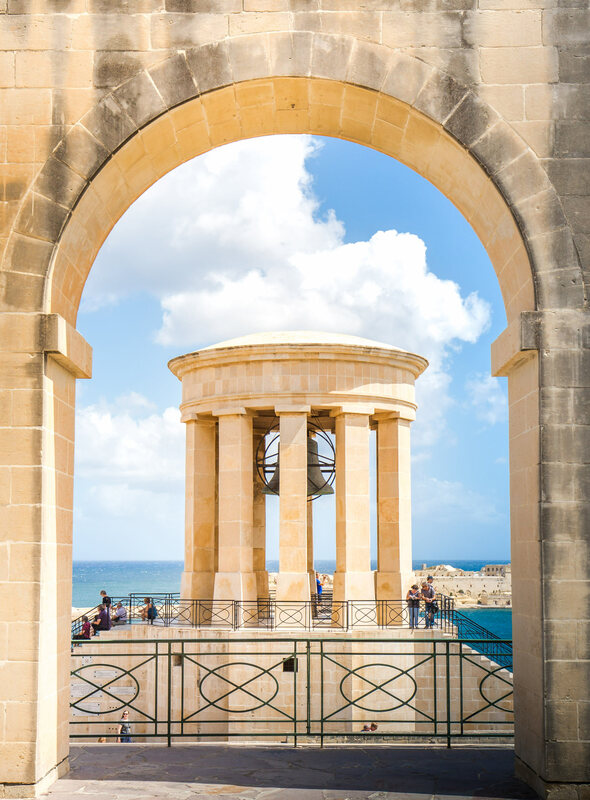 Overlooking the Grant Port, the Barrakka Garden with its many columns, benches and flowerbeds offers breathtaking views of the Three Cities in front of Valletta and the sea. A very pleasant moment to rest a little during the day. And to hide anything, find a little greenery in the middle of ocher stones and the city (certainly very pretty) it feels good. Below, you will find the object of all this noise, the Battery of Salvation. Formerly used to greet foreign ships, the guns have been restored to bring some folklore to your day of visits. A salvo is fired every day at noon. Attraction completed by people in period costumes trained in the use of guns. You can imagine that if there is a garden at the top, there is necessarily a garden at the bottom. Well yes, good deduction. 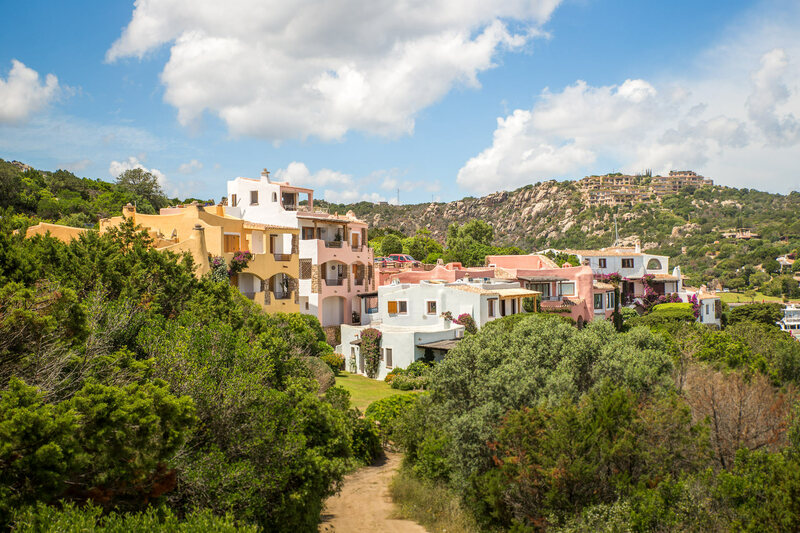 The Lower Garden , Lower Barrakka Garden, is a little further than the upper one, along the seashore and towards Fort St. Elmo. The small temple Dorian style there, dedicated to Alexander Ball, sir who led the Maltese against the French (but hey we should not blame him too much was the war after all). The Siege Bell War Memorial, often simply called “The Bell” is a monument is very photogenic, with the backdrop of the sea and the Three Cities. In good capital of a very tourist place, Valletta has 2 main arteries entirely dedicated to shopping. It’s in the streets of Republic and Merchant that you will find souvenir shops with magnets, postcards, tee shirt “I love Malta” without forgetting THE specific memory in Malta : a figurine of a knight of the Order of Malta. Walking along the street, you will also find a lot of jewelry because the Maltese craftsmen are renowned for their gold and silver filigree design. Some of the exhibits are particularly impressive. Republic Street also has many cafes and restaurants with terraces for the lunch break. You can also see some monuments such as the churches of St. Francis and St. Barbara or Parliament. As for Merchant Street, it is the place of the daily market with its local products and clothing sellers. The souvenir shops in Valletta are more expensive than elsewhere in Malta because this is where the cruise ships arrive for the day. For cheap souvenirs, prefer, for example, the Sunday market in Marsaxlokk or shops in less touristy cities. The Casa Rocca Piccola is the only palace in Valletta still inhabited by individuals. Since the sixteenth century it has seen 9 generations of the same family succeed in its walls and the current Marquis de Piro still lives there. The owner opened a part of his house to visit to share with you and discover the history and culture of a Maltese aristocratic family. 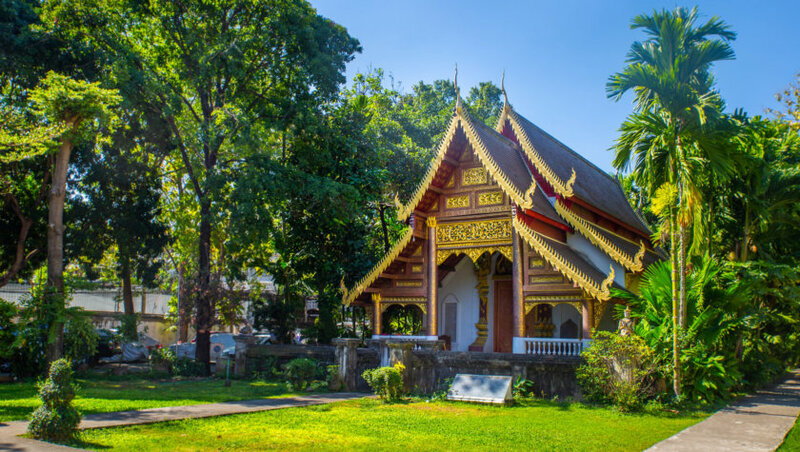 You will have access to a dozen rooms of the palace which includes the private collections of the Marquis and objects of everyday life of the last centuries. You will end up visiting anti-aircraft shelters dug during the Second World War to protect yourself from bombing. Visits are guided only in English and last approximately 1 hour. You can even book a private tour with the Marquis (obviously more expensive). Find all the information to plan your visit on the official site (in English). 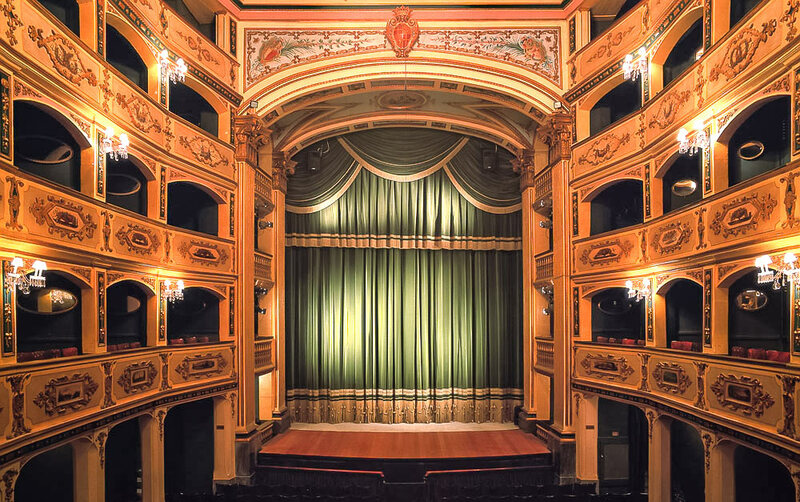 Built in 1731 to entertain the knights (but not too much decency requires) and the population, the Maltese National Theater or “Manoel” for locals is one of the oldest in Europe. This pretty little theater is worth a look for its elegant baroque room with impressive and golden luster. To see also an exhibition on the actors who walked on their boards and their costumes. Today you can visit (there are audio guides in French and that’s a good point) and also attend a concert or a theatrical performance because it is still active. All the news of the theater is on the official website and you can also book your tickets for one of the shows. 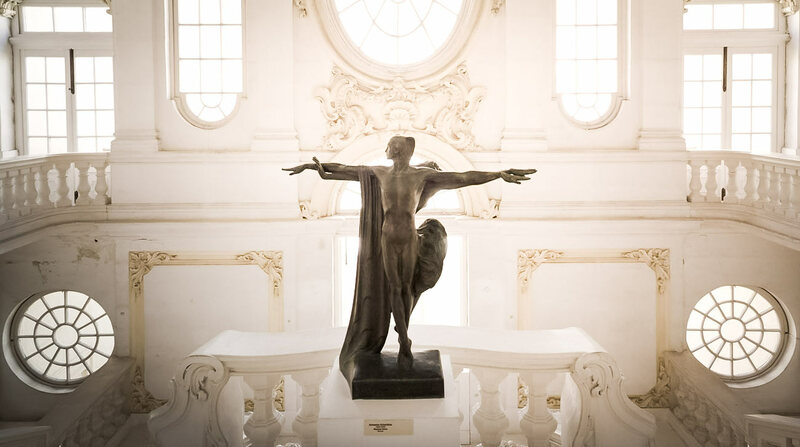 The National Museum of Archeology is located in Valletta in the hospitable inn of the language of Provence. 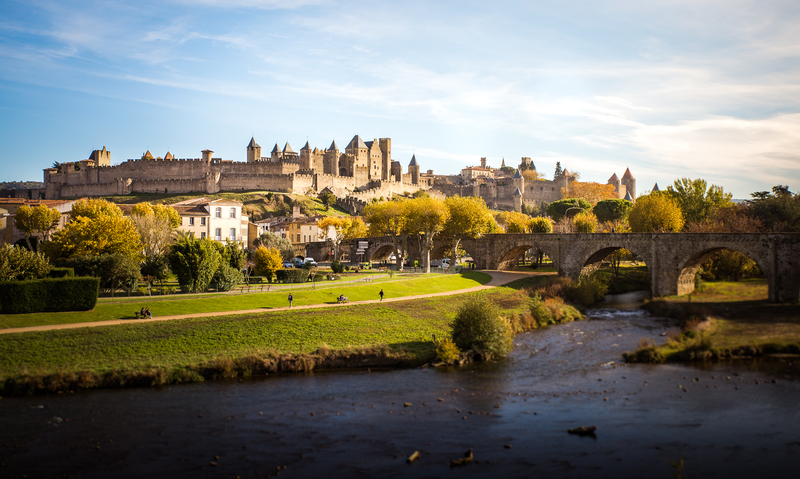 Built in 1571, at the same time as the city, it housed the Knights of Provencal language whose chief often occupied the functions of treasurer of the order and great commander. The museum is very small but it is complete and very well done. 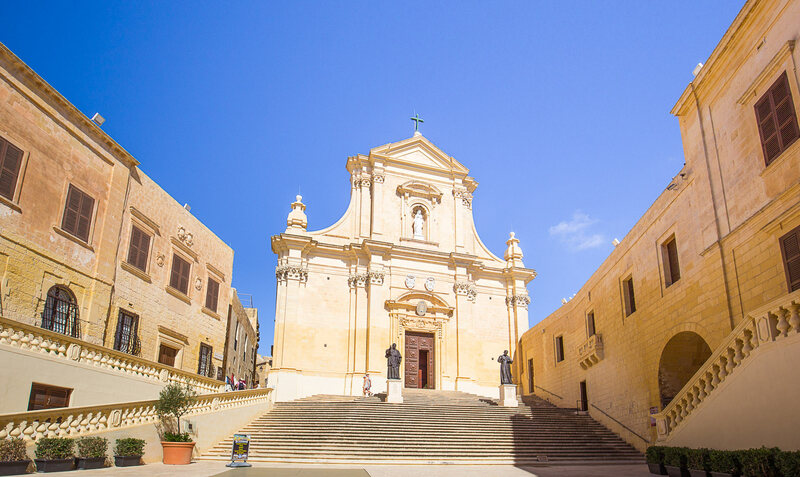 It allows to get a good idea of the history of Malta from the first inhabitants and especially its temples. It presents a collection of objects of all kinds from prehistoric and megalithic temples found on the island such as pottery and statuettes. 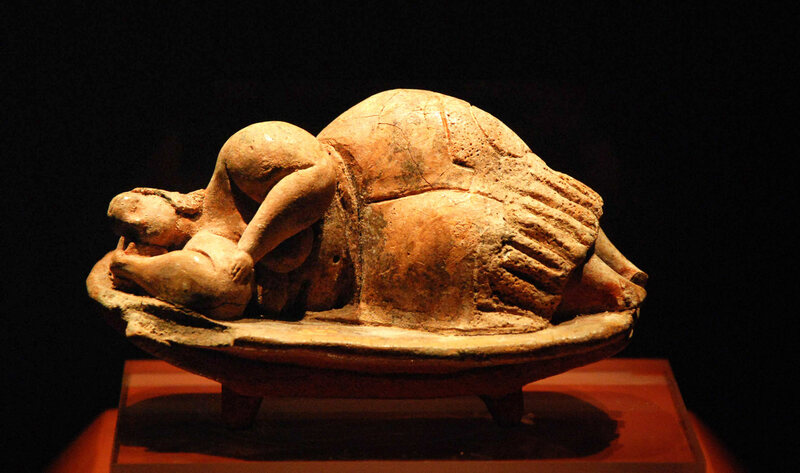 Do not miss the 2 most famous statuettes of the museum: “The Sleeping Lady” and the “Venus of Malta”. This tour is a must if you plan to visit the megalithic temples later, you will understand their history much better. The National Museum of Fine Arts houses an important collection of sculptures, paintings, furniture and objects associated with the Knights of the Order. They come almost all from the Palace of the Grand Masters or the various hostels of the knights. You will find in particular works by Mattia Preti, a knight who also realized the frescoes on the vault of the cathedral Saint-Jean. To see also, the section devoted to the arms, costumes and blazons of the knights of the order. As the museum is a little aging, it will be completely moved as part of the election of Malta as European Capital of Culture in 2018. The new museum, named MUZA, is scheduled to open in May 2018. So you may not be able to visit it during the transition period. 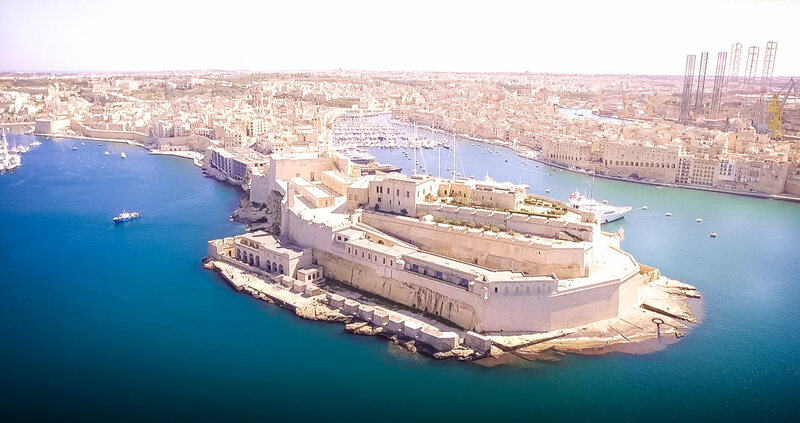 Fort Saint-Elme was built in 1552 by the knights to protect the two ports of Valletta. He was the key element of a tragic episode of the island of Malta named the “Great Siege”. For more than 30 days, he was besieged and bombed by the Turks to finally succumb. All the Knights and Maltese who were there were killed. A few centuries later, during the Second World War, he still continues to ensure the defense of the Maltese and the Italians were not mistaken there, they target him during their aerial attacks. Fortunately, the attacks will prove fruitless thanks to the efficiency and bravery of Maltese anti-aircraft crews. Fort Saint-Elme is today one of the most memorable places for most Maltese people. It’s an integral part of their story. Inside the Fort Saint-Elme is the National War Museum. You will find all the history of the building of the Fort as well as explanations on the various wars that have marked the history of Malta. In the museum you can also see the only one of the three planes that served to defend Malta against Italy still intact. This is also where you will see the George Cross, an honor given by the English to the entire Maltese population for their courage. Do not miss the view of the sea from the fortifications. You could see them from the upper Barraka Garden, now it’s time to visit the Three Cities. To join them, nothing more simple: go down by the panoramic elevator of the garden (free to the descent and also for the ascent if you come from the Three Cities), cross the street and continue on the left. You will arrive on the waterfront docks that serve as the boat dock. A return trip to the Three Cities costs 2.8 € and lasts about 10 minutes. To know that you can also opt for a trip in traditional boats that lasts a little longer and is a little more expensive. You arrive at Vittoriosa (also called Birgu in Maltese), which together with Senglea and Cospicua constitute the Three Cities. They all offer magnificent views of Valletta and can be easily explored on foot. In Vittoriosa: Fort St. Angelo, the Inquisitor’s Palace, the Maritime Museum and the Church of San Lorenzo. In Senglea : go to one of the most beautiful views of Valletta , the Safe Heaven garden, located at the tip of the city. 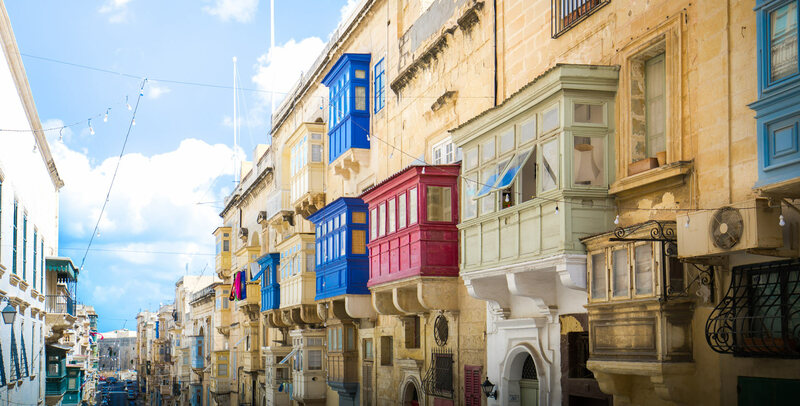 In Cospicua, go through the narrow streets as you wish. If you are pressed for time, concentrate on Vittoriosia it is still the most interesting and the closest to catch the boat. In 2 days in Valletta, you will have time to see most of the essentials that we quoted you. I recommend you still stay 3 days to take your time and really discover in detail. 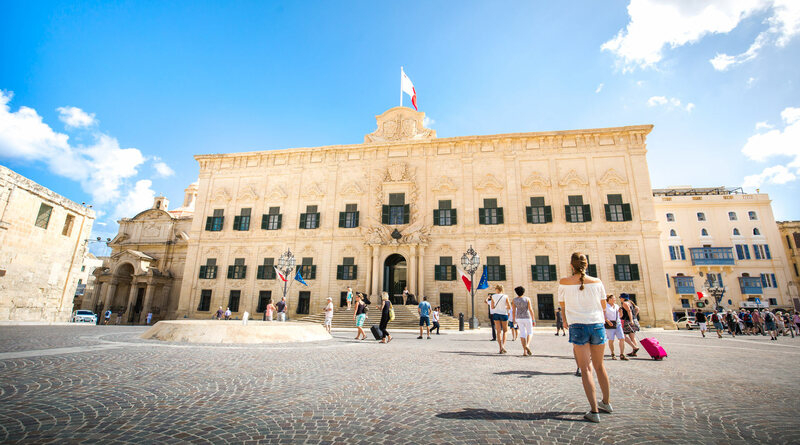 If you want to stay at the same hotel all the time during your stay in Malta, you can even spend a week in Valletta! 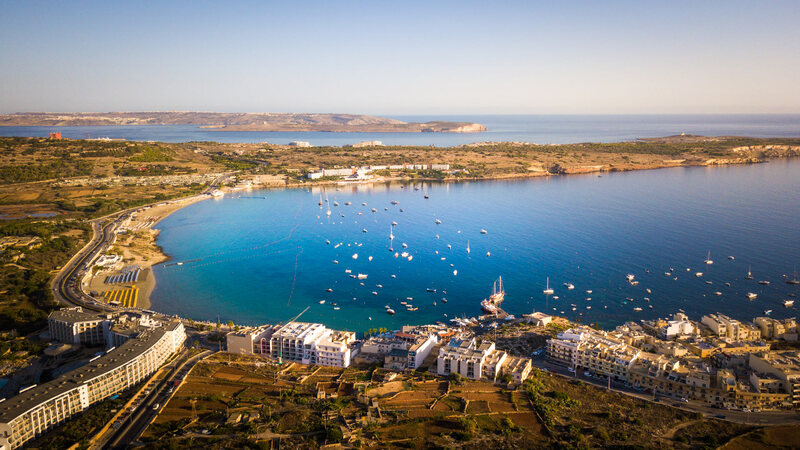 You will then make day trips to other sites of the island, such as Mdina, Rabat, Blue Grotto or the island of Comino for example. For the afternoon you can for example take the ferry to Sliema where a nice walk along the seaside starts . It is also the ideal place for shopping with shopping centers and shops. If you do not want to rent a car, the best way to get from one tourist site to another in Malta is to take the multi-stop tourist bus. You must book it in advance by clicking here. Private Room : Located 300 meters from Fort St. Elmo and 700 meters from Barrakka High Garden. Comfortable double room from 75 €, the night breakfast included. The most: the excellent location, the welcome and kindness of the host, calm. Grand Harbor Hotel : Hotel with traditional architecture, located in the city center of Valletta, just 100 meters from the Barraka High Gardens. Basic double room from 90 € per night or with view of the sea and the Three Cities for 110 €, breakfast included. Pros: ideal location, beautiful views, roof terrace. Tano’s Boutique guesthouse : Hotel located in the center of Valletta, 2 steps from all places to visit. Spacious and bright double room from 115 € per night. Most: central location, quiet, roof terrace for breakfast. The best value for money in the city! Grand Hotel Excelsior : 5 * hotel located by the sea, the view is really sublime! Very nice rooms from 170 € per night. Pros: The pool, the jacuzzi, the free parking, the excellent breakfast, the view, the service, and many other things that will make your stay truly exceptional! Our big favorite in Valletta. Hotel Phenicia Malta : Luxury hotel located on the City Gate Square. Spacious double room, bright and tastefully decorated from € 349, breakfast € 17. Most: the infinity pool overlooking the harbor, the huge garden, the location and free private parking. It’s simply the best hotel in Valletta. Beati Paoli Restaurant : Located Rue Saint-Paul. Small restaurant with traditional cuisine, the dishes are hearty and delicious. The staff is very nice and the atmosphere friendly. You are sure to have a good time. Rubino : Located on Old Bakery Street. Typical home cooking with fresh and local products. The dishes are very well prepared and plentiful. The desserts are homemade. We highly recommend it to sample local Maltese cuisine. Dimitri Cafe : Located on Rue Saint-Paul. A very small restaurant with simple and local cuisine. Everything is homemade, even bread! Wide choice of dishes based on fresh fish and super well cooked. The boss is adorable and the prices more than correct. Note that the restaurant does not accept CB, you are warned! Valletta is really a small town and that’s what gives it all its charm. It is nice to walk and it is full of interesting places to visit. I was particularly impressed by the co-cathedral Saint-Jean, such an excess in luxury and decoration, I had never seen that! I also advise you not to miss panoramas from Upper and Lower Barrakka Garden. In addition to that of the greenery and the shade in Malta it is always appreciable! Do not drive in the city, it is better to park at the entrance to the car park MCP. The price is more than adequate, we paid 6 euros for 7 hours and it is very well located. Only 5 minutes walk to the center of Valletta. Have you ever visited Valletta? 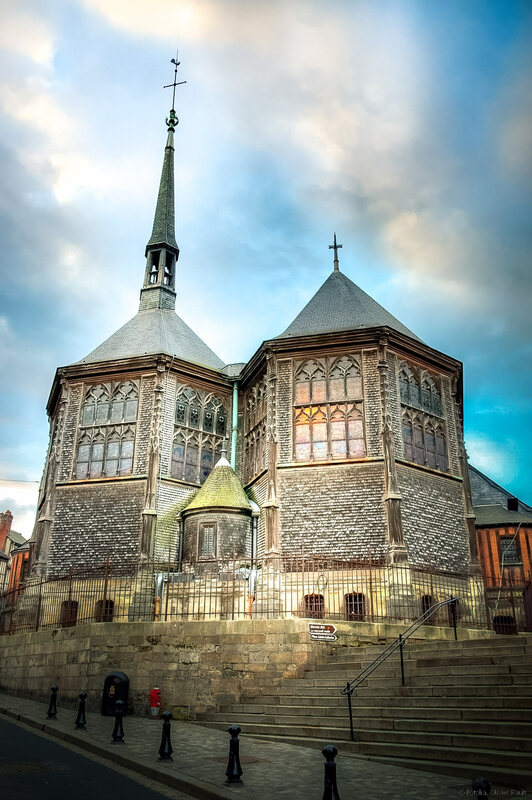 Were you impressed by St. John’s Co-Cathedral? Check out all our articles on Malta: All BonAdvisor articles about Malta are here!